Next up we have another fitness and health-focused device from a company that is new to me, PEAR. 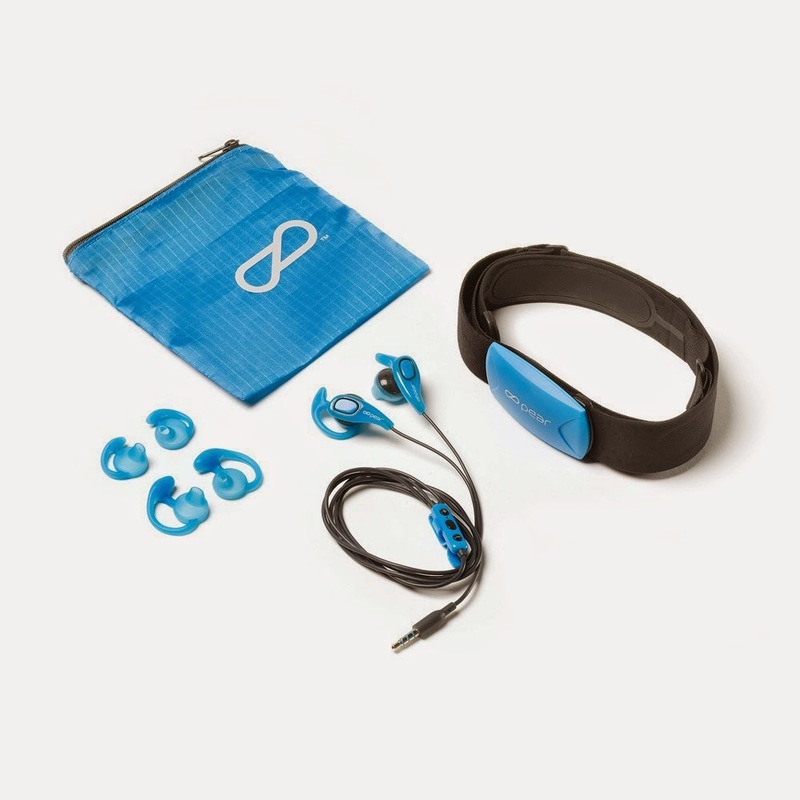 I was provided with their Mobile Training Intelligence System, which consists of a Bluetooth heart rate monitor, Stride ear buds, Earlock earpieces in a variety of sizes, and a bag to carry it all. These items combined with an iOS or android phone brings a personal trainer into your workout by providing coaching based on the monitor’s measurements and pre set workout regimes. Fresh out of the box, we will see how this fares and compares to other fitness mobile accessories. While the Mobile Training Intelligence System does provide similar features from the competition it is still very unique as what it lacks, it makes up elsewhere. For starters, while the heart rate monitor is Bluetooth, the headphones on the other hand do not and require being plugged into the phone. The app is great as you are able to select different types of workout from cardio to lifting all the while being coached to reach your goal all while historical progress is tracked by the app. 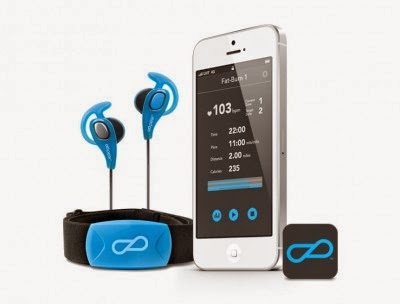 The ear buds use an exclusive Earlock to hold them in place despite the workout, which is nice, however still a bit uncomfortable with the phone place in my pocket, so an armband case is suggested, but not included. 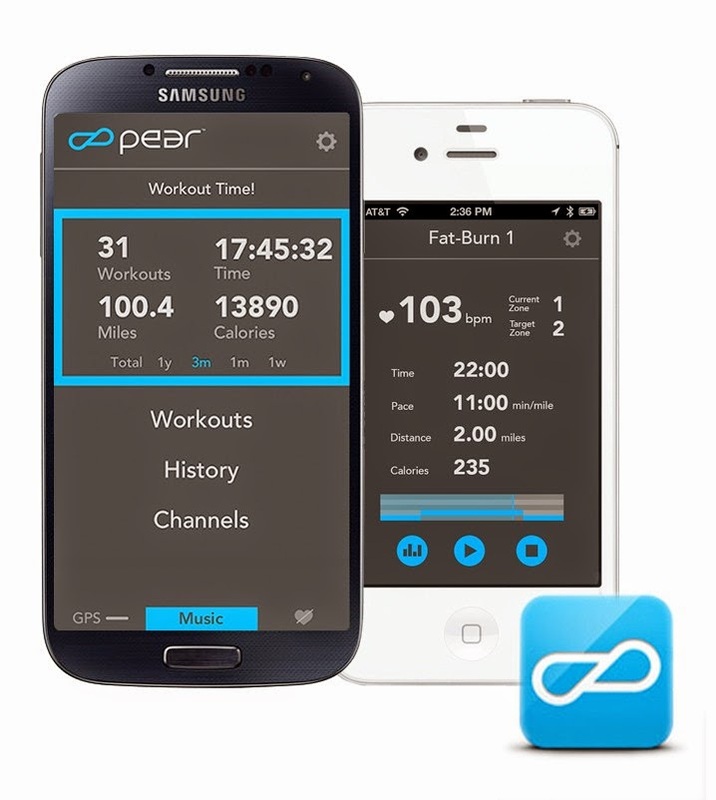 Like I said, PEAR’s Mobile Training Intelligence System does not have some of the same features that other fitness headphones have but the real time coaching app is great and the price point of these compared to the wireless competitors make having a fitness accessory a lot more attainable. The nice thing about the headphones being wired is that you never have to worry about forgetting to charge them, however it is just as easy to forget the heart rate monitor. My only complaint was that an armband for the phone was not included being that the headphones are not wireless. The Mobile Training Intelligence System is available now for $99.95.